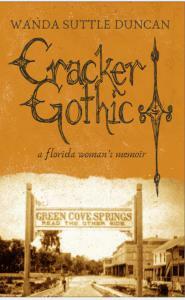 A new book, a personal memoir, a simultaneously heartbreaking and inspiring snapshot of the intoxicating Green Cove Springs vibe. 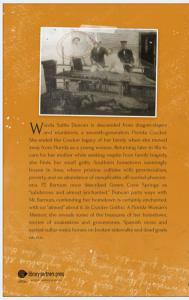 GREEN COVE SPRINGS, FL, UNITED STATES, April 2, 2019 /EINPresswire.com/ -- Wanda Suttle Duncan is a seventh generation Florida Cracker. She left her small rural hometown behind when she moved out of state at age eighteen. Returning for visits to care for her aging mother, she sees the town with new eyes, a place of Eden-like natural beauty, unchanged in the decades she has been away. She rediscovers a quiet, river-front town with brick streets, ancient live oaks, and decaying Victorian homes.